Robotic Pneumatic Grippers | Applied Robotics | Solutions in Reach | Applied Robotics, Inc.
Tell us about your specific gripper requirements and we’ll designate the best pneumatic gripper or create a specialized solution for your applications. We offer pneumatic grippers through our parent company the Effecto Group. Their product offering is wide. It ranges from clamping to gripping of any workpiece, of any shape and any weight (from few grams to hundreds of kilograms). Effecto has been developing specific advanced manufacturing technologies that allow customers to succeed. 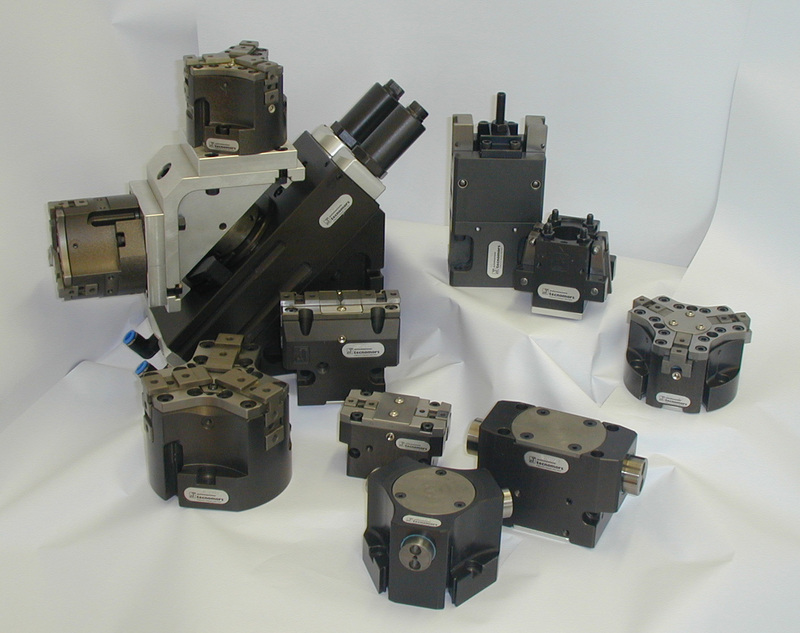 We also offer pneumatic and hydraulic vises, manual and automatic indexing chucks, linear slides, rotary actuators, pressure intensifiers and other robotic accessories via Effecto. 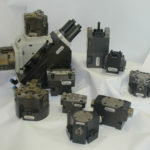 Our multi-jaw pneumatic grippers (including parallel and toggle,including 2 and 3 jaw versions, parallel grippers, O-ring grippers, angular grippers, rotary actuators, power and linear slides, linear thrusters, mini powered slides, feed escapements and gripper and rotary modules) can be customized with a variety of unique fingers to handle just about anything. Jaws move in a synchronous motion, opening and closing toward the central axis of the gripper body, providing more contact with the part to be grasped and more accurate centering. Our heavy duty bag gripper is built for high dynamic, high cycle, repeatable bag placement especially in very harsh environments and our Adjustable Palletizing Gripper provides rapid pick-and-place palletizing of bagged or boxed products, offering complete robotic control of a palletizing cell.